Every year, Stella Artois holds a bartending competition called the World Draught Masters Championship. This event brings in bartenders from around the world who compete to win the title of the Stella Artois World Draught Master. Getting it’s start in Stella’s hometown of Leuven, Belgium, the Stella World Draught Masters competition is now a global event, growing bigger each year. First there are events held in cities around the globe. Then the winners from the cities compete in a country-wide competition. Then the winners from each of the countries fly somewhere to compete for the world title. The 2011 Stella World Draught Masters competition, for example, was held in Buenos Aires, Argentina. In a nutshell, the competition is how to pour and serve the perfect pint of Stella. But it’s not that easy. 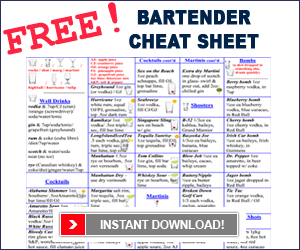 There are 9 steps and each bartender must perfect each step. The World Draught Masters Championship celebrates the care and craftsmanship that goes into serving the perfect Stella Artois. Each step of the nine-step ritual has to be performed efficiently and flawlessly. Competitors from around the world participate in the finals and these men and women are true professionals, having won respective local competitions to earn a spot in the finals. The World Draught Masters has been hosted around the world from NYC to London, with the most recent location being the historic Chalet du Mont-Royal high above Montreal. Belgian, Allaine Schaiko, and Australian, Charles Mudd, faced each other in the final, which Schaiko won. It was a true honor for Schaiko, given he’s from Stella Artois’ hometown of Leuven. He will now serve as our global ambassador, working to ensure that every Chalice of Stella Artois is perfectly served. 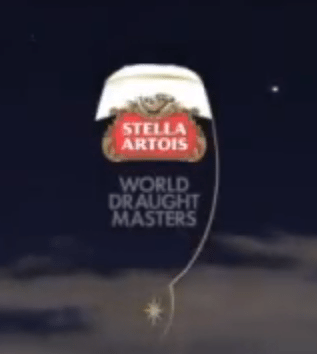 Watch the official video put out by Stella Artois for the 2012 Stella Draught Masters Competition. See for yourself what an extravagant event this is! If you’re a skilled and talented bartender, get yourself registered into the local level Stella World Draught Masters competitions for a chance at Draught Master fame! Of course, if you’re going to try out to be a World Draught Master, you’ll need to know the 9 Steps to Pouring the Perfect Pint of Stella.